The 26 mile long Catoctin Trail is located along the eastern portion of the Blue Ridge Mountains of Western Maryland. Hikers experience stunning vistas, and freshwater streams including Maryland's largest cascading waterfall. Location: The Catoctin Trail runs 26.6 miles along the eastern-most ridge of the Blue Ridge Mountains in Frederick County, Maryland 55 miles northwest of Washington, DC and Baltimore. South trailhead at Gambrill State Park Trailhead: From U.S. 70, exit onto U.S. Route 40 at Frederick, MD. Travel approximately six miles. Turn right onto Gambrill Park Road and follow it approximately one mile to the park entrance. North Trailhead at Catoctin Mountain Park: Travel 20 miles North on U. S. Route 15 from Frederick, MD. Trailhead is located NW of Catoctin Mountain Park near Mt. Zion Road. The Catoctin Trail is 26 miles in length and passes through one national park, two state parks, and two municipal watersheds while traversing the eastern most ridge of the Blue Ridge Mountains in Maryland. Portions of this trail were originally designed and constructed by the Works Progress Administration and the Civilian Conservation Corps in the 1930s. The Catoctin Trail provides recreation to the Towns of Thurmont and Smithsburg on the north and Frederick, Maryland on the south in addition to serving over three million visitors per year from the Washington Baltimore metropolitan area. The trail lies within three miles of the Appalachian Trail, crosses a State Scenic Byway, and parallels the Catoctin Mountain National Scenic Byway. Along its route there are historic districts (Camp Greentop and Camp Misty Mount) as well as historic and prehistoric archeological resources including Indian flint napping sites and Colonial era charcoal hearths. In addition to skirting several lakes the trail also accesses numerous scenic vistas with views of the Monocacy River Valley. 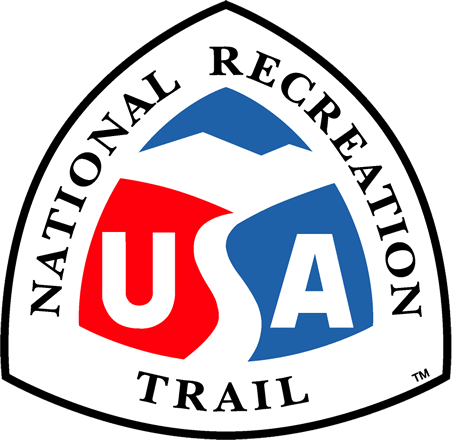 A diverse partnership of all levels of government and non-profits manages a variety of recreational uses along the trail.